Mozart, meet Schrödinger. He’d like to borrow your cat. 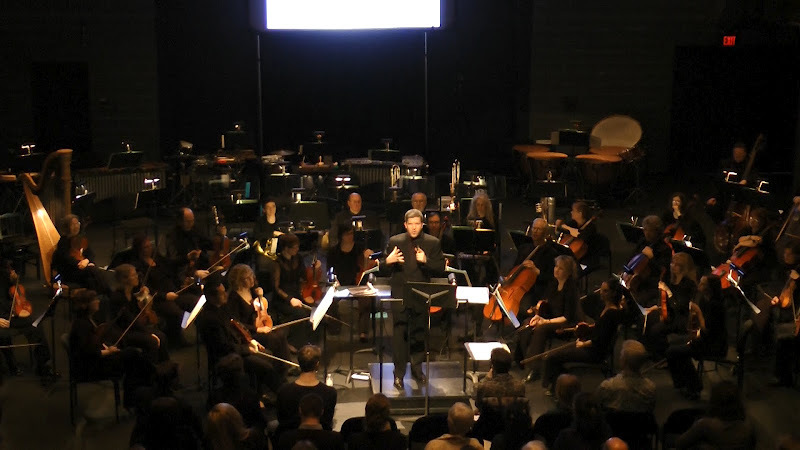 Last month, after more than a year of preparations, the Institute for Quantum Computing and the Kitchener-Waterloo Symphony did something very different — a mind-bending mash-up of music and science. The concert, called “Quantum: Music at the Frontier of Science,” was more than a year in the making, created with input from IQC researchers and symphony music director Edwin Outwater. Through music, narration and some cool “sound experiments,” the concert explained the parallel histories of music and physics over the past century. It was beautiful, vexing, daring and weird — everything an exploration of quantum science should be. In case you couldn’t make it in person, we filmed it. Check out an abridged version of the concert below, and a “making of” mini-documentary below that. Enjoy!